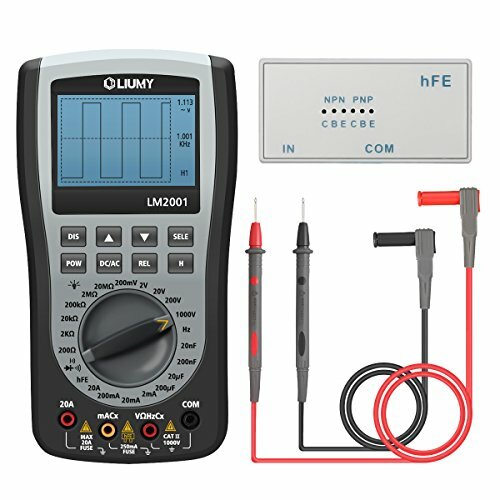 Which one is the best oscilloscope for hobbyist? 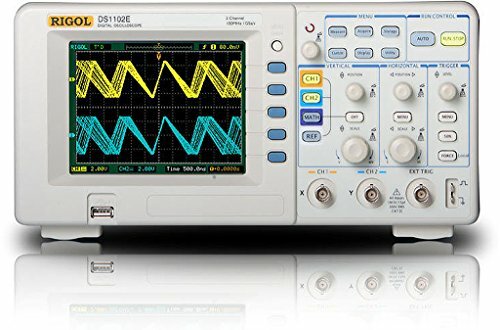 Which brand is the best oscilloscope for the money? After analyzing with the help of your electrical engineer by different perspective we got two brands are the most popular and quality products manufactures for the best hobbyist oscilloscope on the market. Siglent and Rigol are two of them for the best oscilloscope we choose Siglent as winner and Rigol as runner up oscilloscope there are other some good brands also available such as TekPower we provided on your list of top 10 best hobbyist oscilloscope for electronics. Photo by Jeff Kezer from Flickr C.C. Oscilloscope is an electrical device which can represents electrical waveform to analyze signal quality, distortion and other parameters. 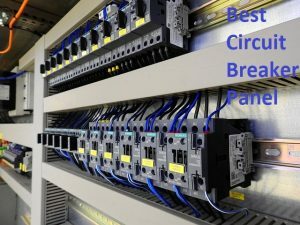 Electrical and electronic engineers basic need is oscilloscope, it is badly needed for various purpose education institute for educational training, electrical circuit board testing, to check signal distortion, quality assurance of production on an industry and so many applications are for the oscilloscope. Before you buy an oscilloscope you must consider some basic factors to get high quality, durable, high performing oscilloscope which will provide you accurate data with clear vision. Those factors are channels, bandwidth, sampling rate, rise time, display, interfacing, memory, weight, budget, brand. 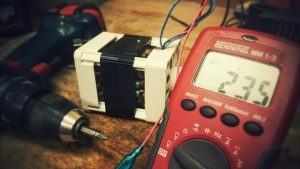 In the below section of this article all the important factors are briefly discussed you can check it out before you buy or select an oscilloscope for your job. Our first choice from Siglent Technologies model number SDS1052DL for the best hobbyist oscilloscope. Siglent Technologies is one of best company for electronic device for its high performance, quality material and durability. Siglent SDS1052DL has clean and clear 7 inch large TFT LCD color display which shows the accurate result. It’s a two channel 50Mhz digital storage oscilloscope you can store the signal and take it into the USB drive for the future use. Siglent SDS1052DL has 500 MSa/s sampling rate and 32 Kpts memory depth. The range of bandwidth of this oscilloscope is 50MHz to 150MHz which enough for any kind of signal measurement for any place calculation. The application of this model for multipurpose education-training on college-university lab, electrical circuit function test, industrial control and measuring, products quality control in factory etc. purpose this model can be used excellently. 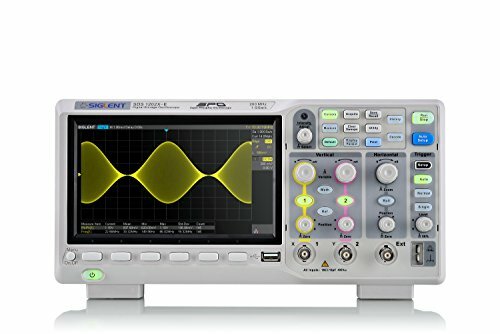 If you are searching a oscilloscope for longer time usage and highest performance Siglent SDS1052DL will not disappoint you we recommend this model according to the test result on our lab for 72 hours after testing and also we talked in the field to the consumer who are using it they are very satisfied with this model. If you compare with price to another brand its price also accurate according to quality and longevity. Some other high-quality brands available on the market but not providing facility to use such quality product with low budget Siglent SDS1052DL is a low budget and most convenient for any kind of electrical signal measurement. 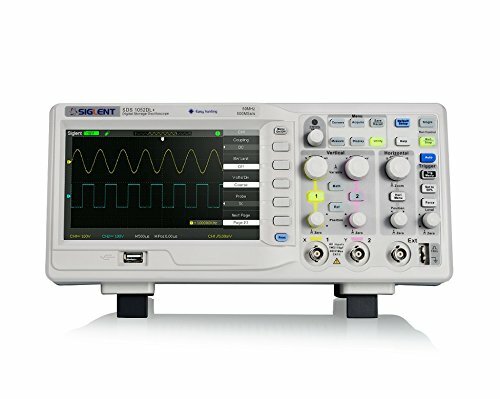 Siglent SDS1052DL is a high durable, high performing oscilloscope for any kind of signal measurement ideal for education, professional or industrial use. One of the best oscilloscope for the money for highest quality and performance. Here our second choice from Rigol another famous brand on the electrical and electronic market device maker. There is always a fight between Siglent and Rigol, people get confused which brand they will select for their need. We tested both on our lab got two of them are perfect, high quality and durable. We have put Siglent first for the public demand and budget is also little bit lower than Rigol but Rigol has more facility than Siglent. Rigol DS1054Z is light weight only 6.6 pounds little bit lighter than Siglent SDS1052DL. Also it has four channel our first choice has only 2 channels where you are getting two extra channels here. 7 inches ultra-vison technology of Rigol DS1054Z has 800×480 WVGA crystal clear display. If we talk about high quality, high performance 4 channel oscilloscope then Rigol DS1054Z is reasonable budget oscilloscope other brand 4 channel oscilloscope is not cheaper like Rigol and as well as quality is not same as Rigol. Here you are getting extra advantage with the help of Rigol lower budget good choice is Siglent and a little bit higher price perfect choice is Rigol having various functionality, high performing oscilloscope. Siglent and Rigol both have smooth performance almost same we got on our test. Comparing them other brands oscilloscope is not smoother or accuracy of result we got. Highly functionable four channel, one of the highest durable-performing oscilloscope for the money it will worth your every penny. Siglent SDS1202X-E is smart grey colored only 5.51 pounds oscilloscope for your electronics job. Siglent brand is our first choice for oscilloscope here SDS120X-E is our third choice it is little bit costly than our first Siglent oscilloscope because it is capable of 200MHz bandwidth. Same display as previous Siglent 7 inches colored TFT LCD with 800×480 resolutions, 256 intensity grading color temperature display shows the accurate result than other oscilloscope. This smart Siglent oscilloscope can sample up to 1GSa/s and 14Mpts recording length having 1M points FFT. All Siglent is built up with the latest generation SPO technology you will get all the updated functions here. You will get a quick start guide, two 200MHz passive probes and one USB cable with this oscilloscope. Like our previous Siglent SDS1202X-E also capable of USB, LAN, USB host interfacing to save or store the data for any project or future use. Those interfacing is not available or only USB interfacing is available on low quality or other company oscilloscope. Siglent always tries to maintain quality product with lower budget so that other company can not win the race with Siglent. Overall a high quality long life oscilloscope for observation of electrical-electronic signal for education, professional and industrial use. Rigol DS1102E is capable of 100MHz measurement with maximum 1GSa/s real time sample rate. Rigol is famous brand in the USA market for electronics device and Rigol DS1102E on of the best digital oscilloscope going on the market. This model has 2 channels with one external trigger channel which is awesome. Rigol DS1102E is white stylish color, only 6.6 pounds weight benchtop oscilloscope ideal for educational institute or industrial use both. The most interesting thing of this device is operated manual or via remote. You can save the output data as .bmp format and the files as .xls or .txt format. This model provides 20 types of wave parameters automatically measurement. You can measure data by using cursor on the screen of this oscilloscope. 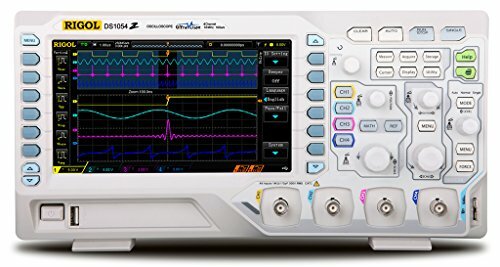 Let’s talk about durability and performance like other Rigol products its also gives more accurate result than other oscilloscope on the market and the durability of this oscilloscope is great you can use it for long time year by year we are providing this information surveying the people who are using. Easy navigation, high durability one of the best oscilloscope for the money. 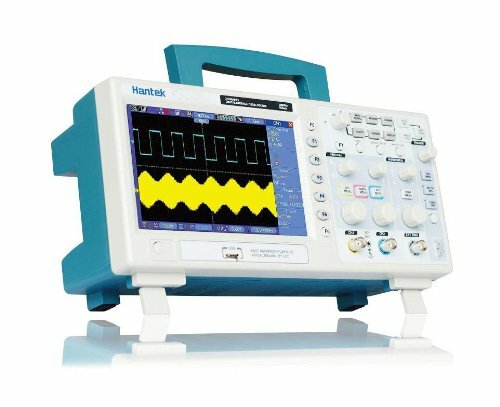 Hantek DSO5072P is one the popular oscilloscope which can beat Siglent and Rigol both. Its different style than two of them a carrying hand included on this oscilloscope which is awesome not available on our previous device you can move it easily with the help of this carrying hand. 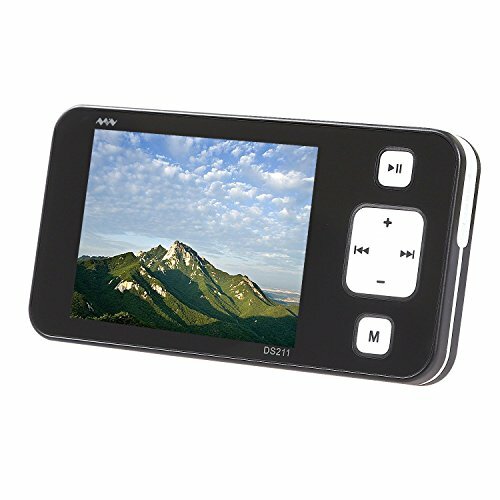 It has two channels with one extra triggering channel, 7 inches TFT LCD color display has clear vision of electric signal. Only 4.59 pounds weight oscilloscope has 70MHz bandwidth and 1GSa/s sampling rate. If you talk about efficiency, durability and performance it is one of the best durable oscilloscope having high performance, more accurate result like Siglent and Rigol. If you want to go without Rigol and Siglent then it is one of the best choice from our recommendation. This handheld pocket size oscilloscope comes from Sainsmart DSO203 with its smallest compact size. The device is perfect for hobbyist use on home or work station. It has a nano color display 320*240 to show signal data graph which is also designed to touch sensor system. It provides auto measurement and various triggering option to control in educational related or experimental subject. The oscilloscope consists two analog and two digital channel those can test signal general from 10Hz to 1MHz. With a light weight only 100g, you can carry the device to watch error of signal anywhere and the storage capacity included internal memory 8mb USB disk. Also supports SD card and comes with a rechargeable lithium battery. The device is ideal for beginner level user but not suitable for advanced level experiments. Although you may like as a hobbyist purpose and it comes with only one probe. Overall a handy tool to reach out in any time with a pocket size and easy to control manually without any so many function irritations. Kuman DSO 138 DIY kit is the best hobbyist oscilloscope to use for your test signal generating purpose. The compact package has designed all in one pre-soldered circuit within including pre-programmed instruction though you do not have to program yourself at all anything. Working with this device is fun around to do and its also a rewarding and challenging DIY kit on the world of oscilloscope. The best reasonable DIY kit ever you can get on the market at very cheap rate. But the function is perfect for beginner level user. To show the graph, the device has a colorful 2.4inch TFT as display. The smd already attached to the board with bandwidth upto 200khz maximum and sampling rate is 1Msps max. Very easy configuration step by step instruction with a such light weight only 70g. This DIY kit is only for beginner level, not for sensitive work or not sure getting accurate result. if you are wondering to get high level experiment Siglent or Rigol is best product. In a low-cost value this, DIY kit is wonderful choice as hobbyist purpose. No fancy design or programming problem just get the signal. 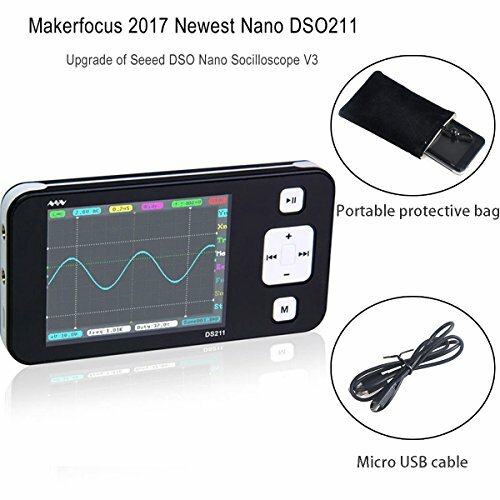 The Makerfocus DSO211 ARM nano mini storage digital oscilloscope is a handheld mini pocket size ultimate device to configure how signal generating. Perfect for any kind of hobbyist and educational experiments purpose. The oscilloscope constructed by bandwidth power 200Khz and sampling rate is 1MSas. Makerfocus manufactured original every single peripheral considering users comfortable zone. The unit designed with a one analog channel and one of add-on of the autonomous channel. 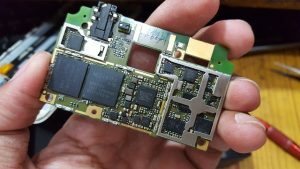 The device memory is 8kpts which supports USB, SD, flash card to support in every possible way in your pocket. The best oscilloscope to operate and very quiet device to handle with button system. To get the accurate graph it has 2.8inch TFT color as display and the output test signal is about 10Hz to 1Mhz. With a light only 65g weight the oscilloscope included a clear and concise manual. Overall a quite discipline oscilloscope to use as hobbyist purpose and very easy to capture form of wave on signal test. 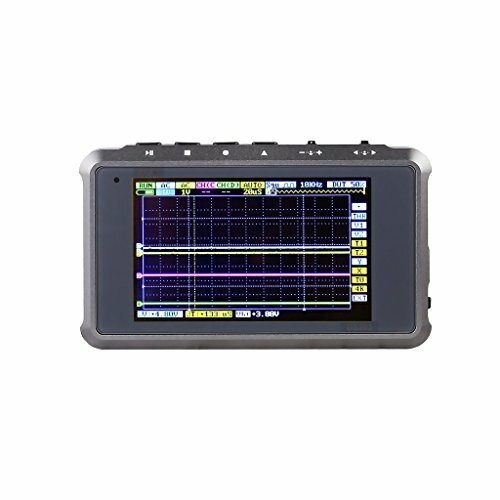 Our next listing product is Singnstek DSO203 ARM digital oscilloscope. It is made of durable aluminum housing to protect the device from corrosion. This model is protected sensitive electronics and also lightweight only 80g which is the best hobbyist oscilloscope on the market. And also, a good choice to use and very safe without any damaging signal or wave. The oscilloscope has 4k channel per storage to carry on worksite or with you to travel and visit project purpose. The tool comes manual on outdated mini cd with small two mb internal memory. Singnstek always brings updated device which is compatible with any highly constructed oscilloscope and to experiment home or work station project within a minute. 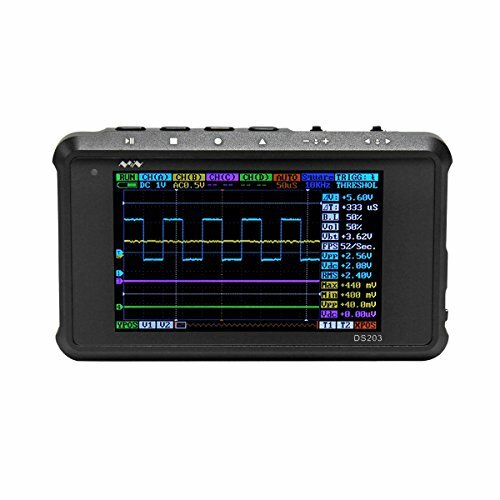 Signstek DSO203 ARM Pocket Portable Digital Oscilloscope one of the great choice to use as hobbyist purpose with a reasonable value comparing with another device. Before we discussed about Signstek DSO203 model, now we come with another singstek upgrade portable mini nano ARM DSO211 which is also an awesome device to work with on. The main feature of its is 2.8inch color TFT display to get clear and constant result. Besides it has internal memory storage 8mb USB flash disk and lightweight only 2.4 ounce. Such a great deal at a very good rate including latest updated features. The oscilloscope is a handled kind of model so that you can put it on pocket and sample rate 1MSas. By this model we are getting one of large display screen which is suitable for simple waveform research. The oscilloscope has two channels to perform that means one analog channel and one internal channel. Expertise mention this model a high choice for using moderate purpose. Although the o-scope is ideal for higher educational project but not perfect for advanced level experiment. Besides its battery only lasts for maximum two hours. Overall a great value compact package handy tools around you to check quick error of signal even the size doesn’t matter at all. And we got our last one dual using purpose with an eye catchy look which is LIUMY professional handheld oscilloscope multimeter. It is one of affordable and time saver machine to go on with including the modern technology into its feature list. 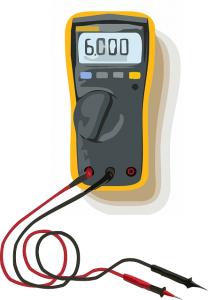 You may get the first look, it is hell of a multimeter, yes but do the dual function as oscilloscope and multimeter too. The device is only for beginners platform, not for sensitive or accurate electronics. It has high sampling rate and high bandwidth and the waveform signal 10KHz. Besides the unit comes with LED Backlight and storage system so that you can note your data even on dark. There is one display screen 128*64 dot matrix dimension. For convenient use the oscilloscope has an automatic option to shut down or continuous off manual way. With a lightweight only 1.5 pounds, it is portable while travelling or visiting onside working station. In final word, one of the great oscilloscope to use on beginner purpose at a very reasonable cost. i) Channel: Channel is very important for oscilloscope before buying oscilloscope make sure you are buying an oscilloscope which has more channels. If you have many channels you can take much data at the same time on the other hand if one channel gets any problem you can check data by another proper working channel. Generally, oscilloscope has two to 4 four channels some also have three channels two main and one extra triggering channel. We included on our review all the relevant oscilloscope which has sufficient channel for any kind of data measuring and monitoring. ii) Bandwidth: It is the most important all of them before buying an oscilloscope more the bandwidth means the device is capable of showing more data. High bandwidth oscilloscope will cost you more if you are buying for home use purpose low bandwidth is enough for professional or industrial work high bandwidth required. iii) Sampling rate: More sampling rate means the data resolution is high and far more accurate. 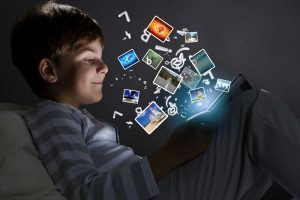 Always recommendation high sampling rate for a general concept when you buy a mobile you always try to buy a mobile which camera has high mega pixel rate that means high mega pixel camera can catch more data with the help of more sampling. Before buying oscilloscope compare two or three oscilloscope compare their sampling rate and try to pick up high sampling rate its necessary to get high quality data. iv) Rise time: High rise time gives faster result and less error of an oscilloscope. Try to buy an oscilloscope having high rise time to get faster result and less error for your data collection. v) Display: For an oscilloscope display is the one of the main factor. Ask yourself why you buy an oscilloscope the answer is to collect some data which is displayed by the monitor of your oscilloscope. Generally, all the famous brand display is TFT color display maximum 7 inches monitor. Try to pick high resolution and large screen display to collect accurate data. 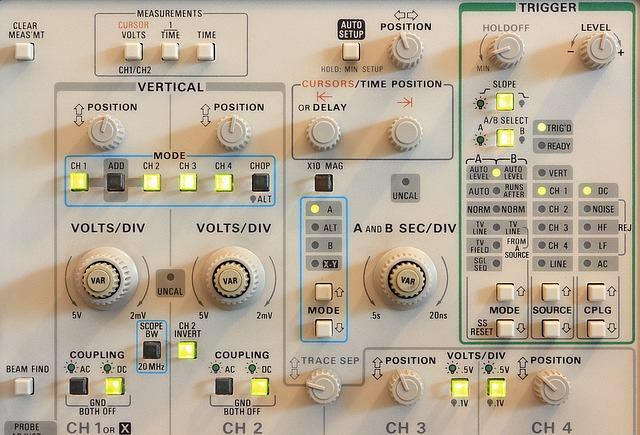 vi) Interfacing: If we talk previous oscilloscope they had no interfacing system which was too panic you are watching data but not capable of interface for your future use that actually painful. Oh, that days are gone now a days maximum high quality brands are offering all kinds of interfacing USB, LAN, USB host etc. you can take the data what you need. Although before buying oscilloscope make sure is your oscilloscope has good interfacing system or not if not avoid that device bring that one which has the facility. vii) Memory & Recording: Latest oscilloscope has enough memory to capture the data in .jpg, .bmp etc. format if the device has more memory then you can save more data before picking one check the memory status to get enough for your oscilloscope. viii) Weight: Maximum oscilloscope weigh is too high but is look up for quality brands you will get lighter weight and better performance. Our recommendation Siglent and Rigol two are both very famous brand of the market for the best oscilloscope for electronics device or hobbyist. If you are buying a pocket oscilloscope then no need to worry about weight it is light weight to fit your pocket. 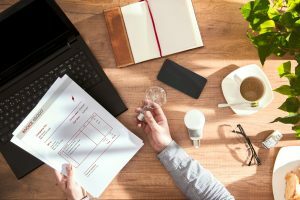 ix) Budget: Budget is the most important factors all of them you can only buy a product according to your budget but if your need is for professional or industrial work then you must have high budget otherwise for hobbyist and home purpose low budget is enough. x) Brand: Which brand is the best for oscilloscope? There are various brand present on the market. After having a good research we shorted the list of 10 best oscilloscope for electronics and hobbyist also for industrial or professional. We got Siglent and Rigol two are most reliable, durable, low budget, accurate result provider on your research. We also recommended some other popular brands on our review. Oscilloscope is an electrical device which shows graphical representation of voltage over time. Oscilloscope shows the wave form of any signal as the signal can be analyzed with frequency, rise time, distortion of the signal and other parameters. What is the function of oscilloscope? Oscilloscope represents electrical signal along X-Y axis voltage over time the position of the signal can be changed by positioning function of the oscilloscope. The shape of voltage and amplitude of the voltage can be adjusted on the screen with the help of the function of the oscilloscope. 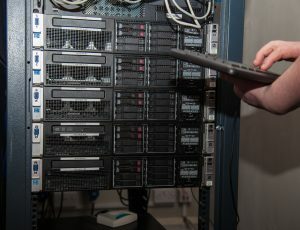 What is the use of digital storage oscilloscope? Digital storage oscilloscope has a memory to store data or recording. Digital storage oscilloscope is an oscilloscope where measured data is captured and used for industrial or any professional purpose. The basic principal of oscilloscope is to measure and analyze AC voltage waveform. Oscilloscope measures voltage not current there is one to measure current which is drop shunt current of oscilloscope. 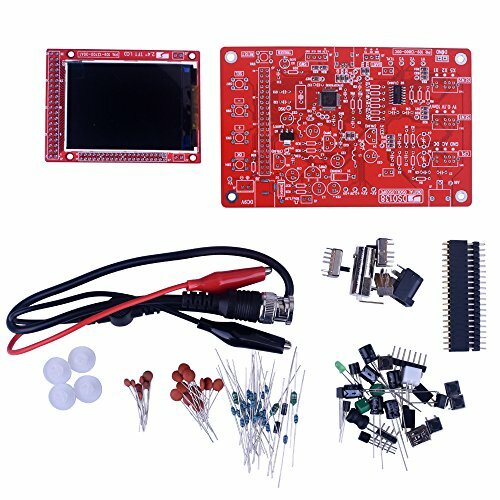 Why do I need to research before buying oscilloscope? It is a wise thing to do a little before buying any electronics or peripheral object. Because after getting that there is no need to research because it will be in your hand to practice. But if you want value your money and time in proper way, do a little research on it. 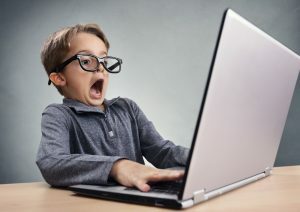 There are various forums, users, videos to get the real fact of its usage. 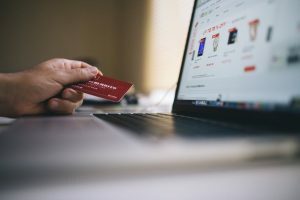 So, you can know what you need and what is the difference between two products. And most of all clear concept of material to get it. How to ensure accurate results from oscilloscope? 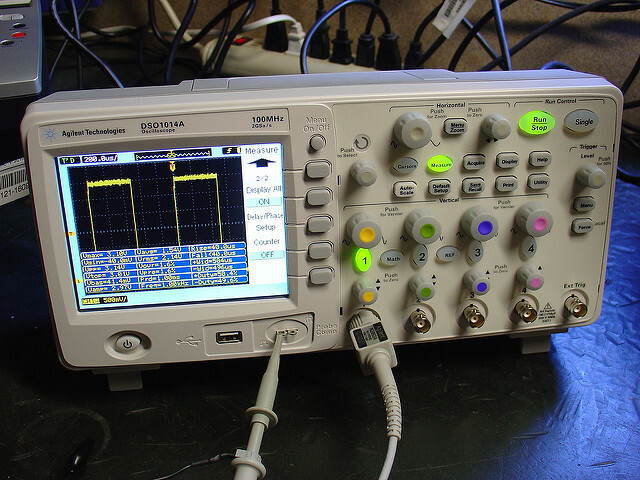 To get accurate results from an oscilloscope, it depends on its wire and probe you are connecting to the device. High quality material and probe are more chances to get accurate result from oscilloscope. And quality product also provides always accurate test signal output. 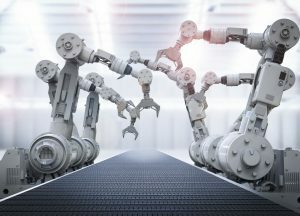 Are the higher bandwidth oscilloscopes a better choice? Not always the higher bandwidth oscilloscopes are a better choice for you because if you only need for hobbyist purpose it will be done by beginner level oscilloscope. However, for bigger advanced experiments need more bandwidth to get accurate graph to fix the error of a signal. Some buy low quality to expect high performance, but it is only waste of time and value. Meanwhile once you collect one of high bandwidth oscilloscope, it may give you longer time service with exact accuracy data that you want for experiment. We only suggest which is best hobbyist oscilloscope on the market in these days but at the end of the day decision yours which is perfect for you.